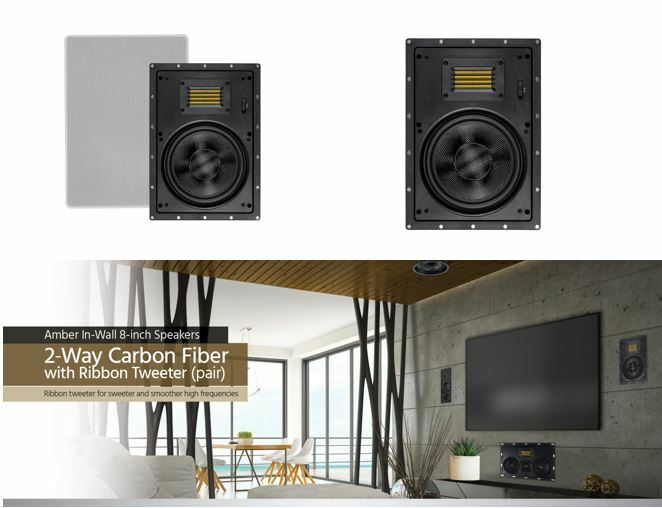 Want to distribute and control music as well as other audio material to six stereo speaker zones? 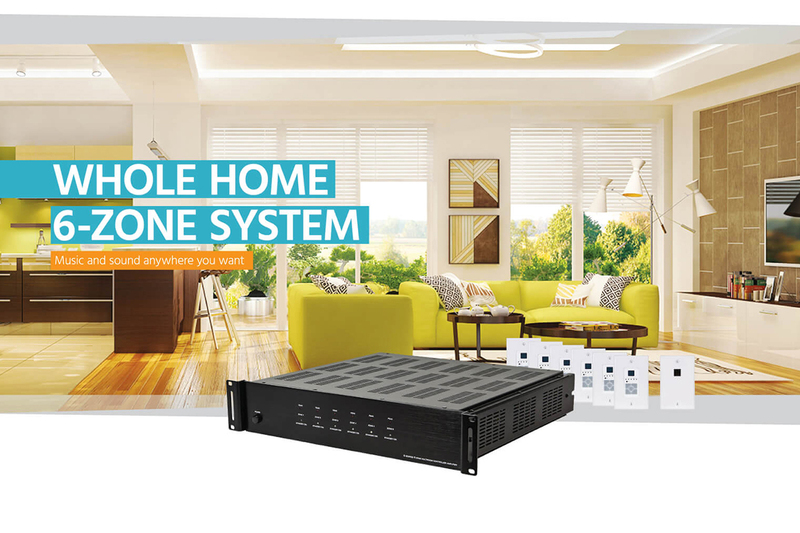 Using the 6-Zone Home Audio Multizone Controller and Amplifier, the 6×6 matrix with six stereo audio inputs and six stereo outputs will allow you to do just that! Each input channel can be independently be directed to any of the output channels using the included remote control or the keypad controllers installed in each zone. Still unsure? Here is an example: main TV area with high quality ribbon in-wall speakers and powered sub, water-resistant outdoor speakers for the patio, and 4 additional zones for music and sound anywhere you want. Conveniently, we offer everything you need to make your sound system dreams come true – at a reasonable and fair price. In this article we will give you a breakdown of what products you will need to have a complete 6-Zone Home Setup, for under $1,500! This multizone controller is a 6×6 matrix with six stereo audio inputs and six outputs. 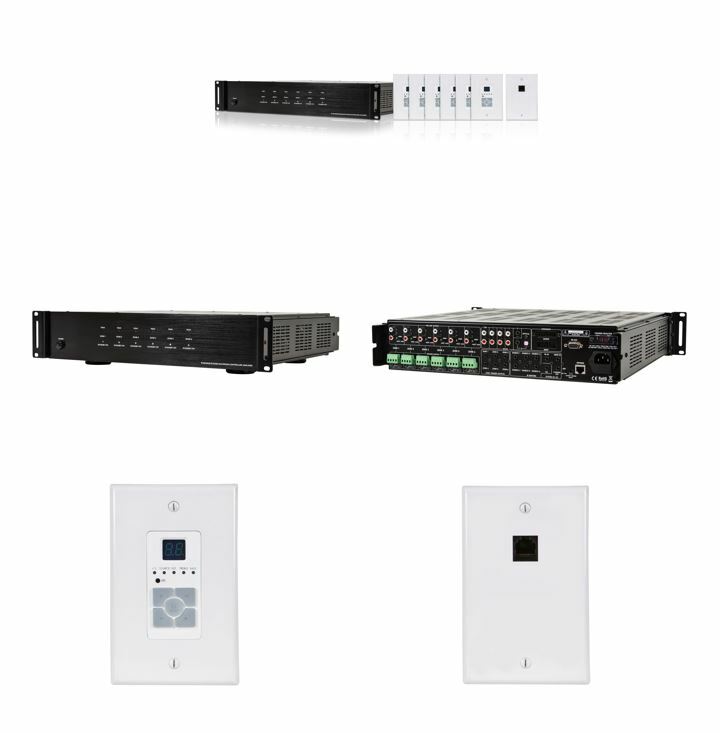 Each input channel can be independently directed to any of the output channels using the included remote control or the keypad controllers installed in each zone. Don’t forget you need some bass! 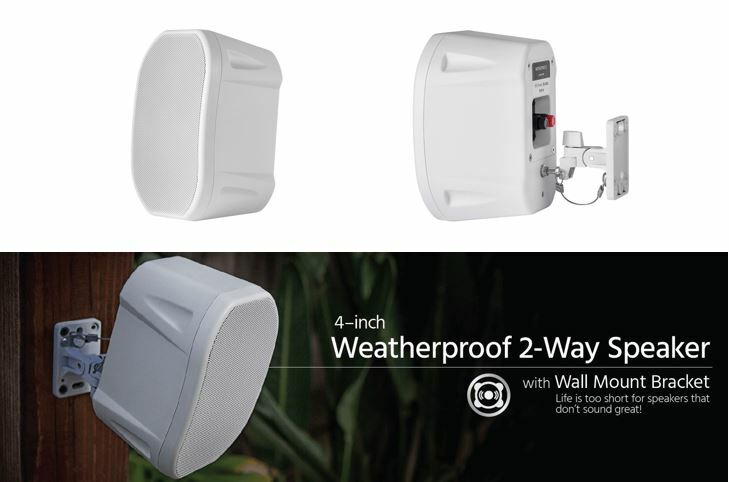 Our 8 inch 60 Watt sub-woofer will give you the boom you need. 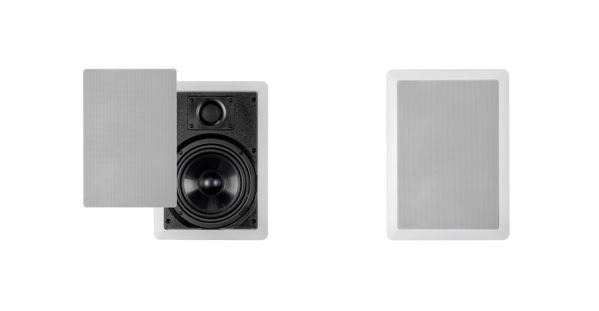 Now that you have the right speakers for the perfect sound, you need these items to setup your 6 zones. You’ll need the following tools to complete installation, stud finder, level, drill, stripper, and screw driver. We hope you discover a new level of audio only experienced by those with a “high-end” budget for sound. Feel sound so true you do not hear a sound system, you are simply in the moment. Feel like you are at the concert of your favorite band or like you are in the middle of a scene from a movie with dialog so clear you feel like the actor is speaking to you!